From the streets of Philadelphia comes the blogs new favorite kids, Tigersapien. These cats, pun totally intended, have ties that run deep within the musical community both within the Philadelphia area as well as my sleepy town of Tallahassee. I first found out about Tigersapien through my boy Maniac Magee of Rough House Tactics, who though their sound was right up my alley. Maniac and Tigersapien go years back it turns out, each one calling the other "family" in the highest regard. After talking with boys of Tigersapien myself, I also found out that they are quite good friends with Michael from Designer Drugs, who actually helped record and master these tunes as well as make an official remix (which will be released shortly). But what makes Tigersapien a breathe of fresh air is not who they know or who helped make their tunes, it's how they make their tunes. All these tracks are preformed live with a drummer, guitarist, bassist, and lots of laptops and synths and whanot... like a band. Remember those? 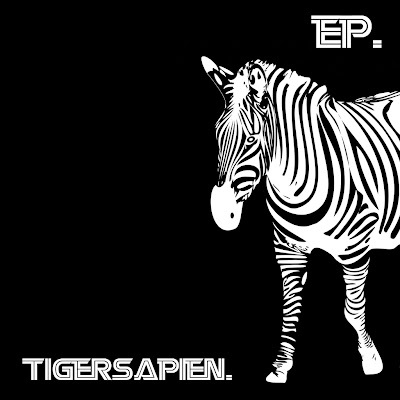 Live production, live performance, live electro goodness... Long live Tigersapien! I like this. It reminds me of Goose a little.